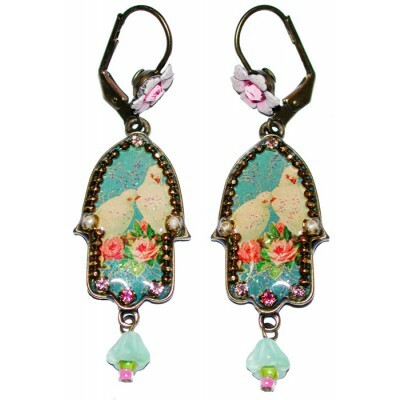 Michal Negrin hamsa earrings. 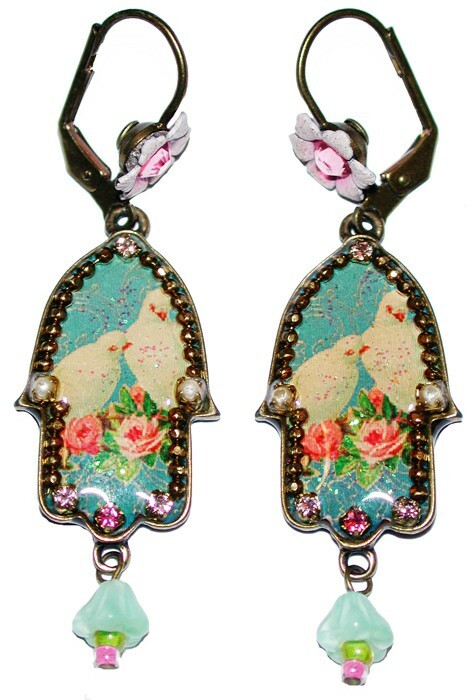 With a Peace Doves pattern, Swarovski crystals, painted flowers and beads. Measure 2 1/4 inches long.